The boy can definitely reach those high notes! 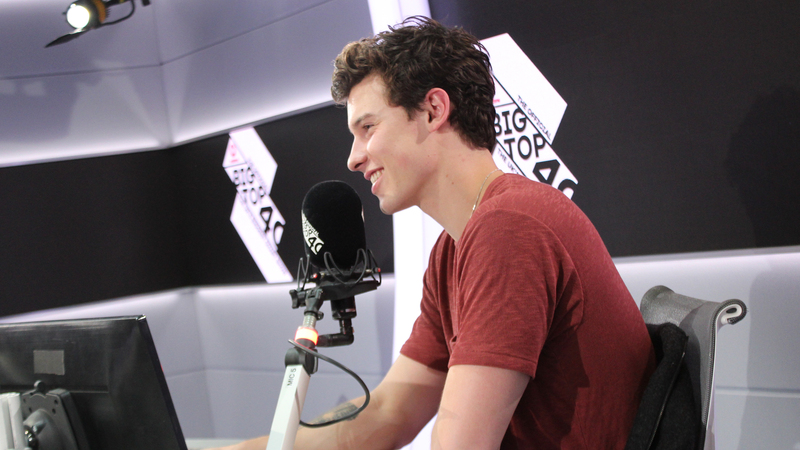 The oh-so-lovely Shawn Mendes dropped by to see Marvin Humes & Kat Shoob on The Official Vodafone Big Top 40. Shawn's new single 'In My Blood' is sounding huge right now and has been a Top 10 hit for the Canadian singer. He revealed how it came about and the Kings of Leon concert that inspired the track. There's also been lots and lots of talk about potential collaborations on Shawn's new album and our detective Marv wanted to get to the bottom of the rumours. Shawn's been hanging out with Niall Horan, Harry Styles and Liam Payne recently... so does a member of One Direction make an appearance on the album? Sadly, there's no boy band stars on the new EP but Shawn did say that there are some collabs to look out for. As with all of our guests, Shawn had a go at playing our old school, classroom instruments. He serenaded us with a beautiful lil' live version of 'Treat You Better' on the kids' keyboard. > Where did 'In My Blood' get to on this week's chart? See the full Top 40!